One of these days the post will say “new poet laureate” instead of “poet laureate’s news,” (hint: tomorrow’s County Board of Supervisors’ meeting: 9am!! ), but for now, there’s this gem. 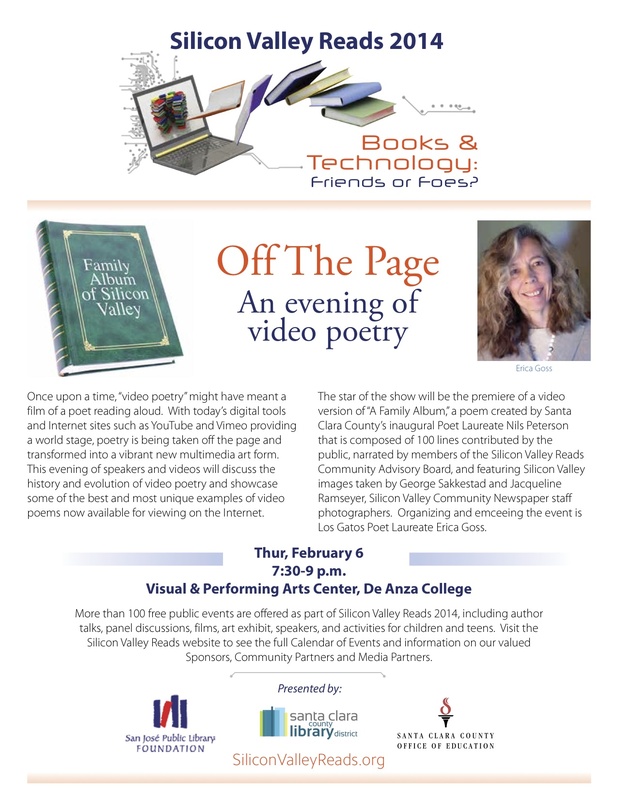 Those of you who contributed to Nils’ Peterson’s “Family Album” poem during his term as the first Poet Laureate of Santa Clara County will be interested to note that the poem has been put in video form. Here, I’ll let you read the rest, below. And, don’t forget next Tuesday’s event at Montalvo. Details can be found here.